We have all heard a million cliche phrases about the brevity of life. And while we acknowledge that we are on this earth for only a moment, we often find ourselves focused on the “urgent” things that capture our attention any given day. Making it through each day becomes the task that we are often preoccupied with. Life becomes a series of checklists with what seems like a rotation of priorities that never end! If we aren’t careful, our lives become a series of completed tasks that do nothing but leave us drained and wanting for more. This longing turns into frustration or stress that we end up exorcising in one way or another. All the while, the moments that really count are being overshadowed or worse, not being recognized at all. This is why I say “Don’t forget the Sparkle”. It is a simple saying that I hope reminds you that life is nothing but a collection of moments. Some positive and some not so positive. However, it is our choice as to what we will highlight and carry with us in our heart. I believe we all have our own ways of remembering the sparkle. Maybe its taking the long route home, to enjoy the foliage. Or perhaps it is sending hand written notes to friends you only speak to once in a blue moon, to let them know you are thinking of them. It can be having your family and friends over because, well… its Thursday! Whatever it is, however we choose to do it, let’s take a little time to add sparkle to these days that encompass our lives. Until next time… sparkle on. In my head, my baby would come out, and we’d do skin to skin, and she would do the birth-crawl and we would feed happily every after. In reality? Not so much. After my blissful birthing experience, thank you Brooklyn Birthing Center, I got home with my baby around 4 am November 13th. I was in disbelief, I couldn’t believe that I had just brought another soul into this world. I was proud, I was invincible, I was… tired. We went to bed, our family forever changed, no longer only ha as husband and wife, but as parents. We were partners, co-parenting together… except for feeding time. Feeding time was all me. You see, I had the instruments required to perform this important, sacred task. I was so sure Nina and I would be all stars at this. After all, the hardest part was behind us… right? Well, day one Eric and I found to be a breeze. Nina mostly slept through the day. It was her first day out of the womb and she was tired. My beautiful cousin Maria came to visit (pregnant herself and present at the birth) and showed up in time for her first feeding. While we had a bit of turbulence latching, we eventually got it, and she fed for a few and fell asleep. It still didn’t seem that bad at this point, I must have the hang of it I thought. But little did I know, this night would change me forever. About an hour later, Nina woke up crying, and would not stop. I rocked her, tried feeding her, which would consisted of her latching for a few minutes, calming down and ultimately disconnecting and screaming at the top of her lungs. My husband and I basically switched off every few hours. One of us, extremely exhausted would spend a few hours rocking and soothing her. This went on till morning, and led right into her first doctors appointment. She was just 24 hours old and we were taking our first trip out as a family. That night was such a haze that I missed the 3 alarm fire that was happening right outside my window. I only noticed the firefighters as I was packing her baby bag around 10:00 am. But the beautiful synagogue down the block had a major fire and there were so many firetrucks and police cars. I walked back and forth past that window for hours and somehow missed the fire. That congregation now has a gofundme… you can read more/donate here. We finally make it to the pediatrician, only over an hour late, and the check up goes well, but the pediatrician is nervous regarding the amount of wet diapers Nina has had. She basically warns, that if Nina doesn’t have enough wet diapers by the end of the night, I would have to supplement with formula. The thought of which made Eric and I shudder, because our plan was to exclusively breastfeed for 6 months, as recommended by my midwives. That evening, a visiting nurse came to our home for a check up as we had delivered out of hospital. I showed her Nina’s latch (I had recorded it earlier for my mom and sisters) and she thought both Nina and I were doing fine. Despite her expert opinion, Nina’s temp pediatrician was worried, and insisted we supplement. So we did. On our second visit, with her actual pediatrician, she noticed Nina was slightly tongue tied– and suggested correction if our Lactation Consultant (LC) agreed. Long story short, we corrected the tongue tie and hoped for the best. While I have answered no questions, I think I’ll stop here. This story is super long, and still developing, but looking back (and after a few more visits with both her pediatrician and our LC) I am thinking maybe supplementing was not needed so early. Nina could have possibly gotten the hang of feeding with her slight tongue tie or not, I’ll never know for sure. However, I am trying my best to live my the mantra my Linesister shared with me: “you did the best you could with the information you had, you are the expert on Nina. You are her mother, and you have to trust your gut”. To all the new moms, moms to be or if you might possibly have a child in the future I urge you to consider breastfeeding. I still think it is one of the best things you can do for your child early on. However, also remember it is not simple just because it “comes naturally”. Actually, breastfeeding for the best of us, is something you can work at to become successful. It can be stressful and scary when the last thing you want to do is upset this little person who is new to earth. I suggest you do research before the baby comes. I listened to a few podcasts and Nancy Mohrbacher has some great tips for natural feeding. Also, figure out your support team before you have an issue. Get suggestions on Lactation Consultants and maybe interview a few before baby comes. Also check out your local support groups. I know in New York I did a breastfeeding class with La Leche League. Prepare for the possibility that it may not go the way you plan so that if that does happen, you can fall back on your support system. Remain calm. Know that it will get figured out and having patience with yourself and baby will go a long way. Be flexible. I know we all have plans, but plans change. Give yourself some grace and if supplementation is needed, do it. Trust yourself and the plans you made. If you want to keep trying do not let naysayers question you out of your goal for yourself. There will be a lot of people who made different choices, and that is fine for them, but feel free to kindly not ask for their opinion when you are trying to work towards a goal you set with yourself and your family. Stay positive! I walked into the hospital room slightly nervous. I had performed this herculean act myself, a few months earlier, but this would be my first time experiencing a birth after giving birth myself. My cousin Maria was in labor. I was awoken by a midnight call and her distressed voice demanding my presence. I was completely confused because my sister was her acting doula. She, the registered nurse, was supposed to be in the room ensuring my Maria’s needs were met and her wants were tended to in a prompt fashion. This task was now handed over to me because my sister was out of reach. Now, I was prepared, as any good *unofficial* understudy would be but my real plan for this day was to assist my sister in tending to Maria. Something I knew I could do, hands down. But this? OMG, was I supposed to have the answers for real now? Sway, help me! I compose myself, and try to forget that only a few hours earlier I had been drinking. That’s right folks, mama’s gotta live too! I went to a friend’s wedding and I got my drink on because I knew Nina was safe with her grandma drinking a mixture of pre-pumped milk and supplementing with formula. Now, the 15 minute drive felt like it took forever. Despite it being the wee hours of a Monday morning, I must have caught every stoplight and was unlucky with parking. Under normal circumstances I would chalk it up to living in New York and move on. However, today was different. I could still remember my own labor and delivery day like it was last week. The excitement, fear and pain all melding into one continuous stream of thought. I remember needing to feel supported. Needing someone I loved and could count on to be in the room with me. Needing someone there whose presence reminded me that everything would be okay. Right now, I was that someone for my cousin. Her fiancé had just made it back to Maryland when he got the call that she was in labor; Her mother was in California where she now lived and was unable to come for a few days; Her father was visibly shaken and though he tried, wasn’t much comfort. I felt this responsibility heavily as I drove over; reminding myself I needed to be a calming but firm presence in the room. I walked into her dimly lit hospital room. I came in and asked the question you know you shouldn’t, but had to: “How are you feeling?” I got myself up to speed on her dilation, length and consistency of contractions, and how long she had been in labor. I also tried to understand if there were any concerns or if everything was going according to plan. For a while she wanted to rest, which transported me back to a few months earlier on the coldest day in November. I was rudely awakened by what felt like the stomach flu. I ran (well, as much as a 10 month pregnant lady could run) to the bathroom where I was held prisoner for an hour. Let’s just say I dealt with the symptoms people with the stomach flu deal with and at 6:00 am I finally thought I could safely remove myself from the bathroom. It was at that point I noticed that I was having consistent contractions. I timed my contractions for an hour before waking my husband up. I finally yelled out to him at 7:00 am that I was in labor. This part of the story makes me smile now, but I wanted to pause labor to shake him back then. He jumps out of bed, with energy and a goofy smile and states: “It’s go time”. The man proceeds to prep like he is back playing college football and its Saturday morning: makes a coffee or smoothie for himself, double checks that the bags are packed, calls my mom and sister to inform them and “pep talks” me through the contractions. 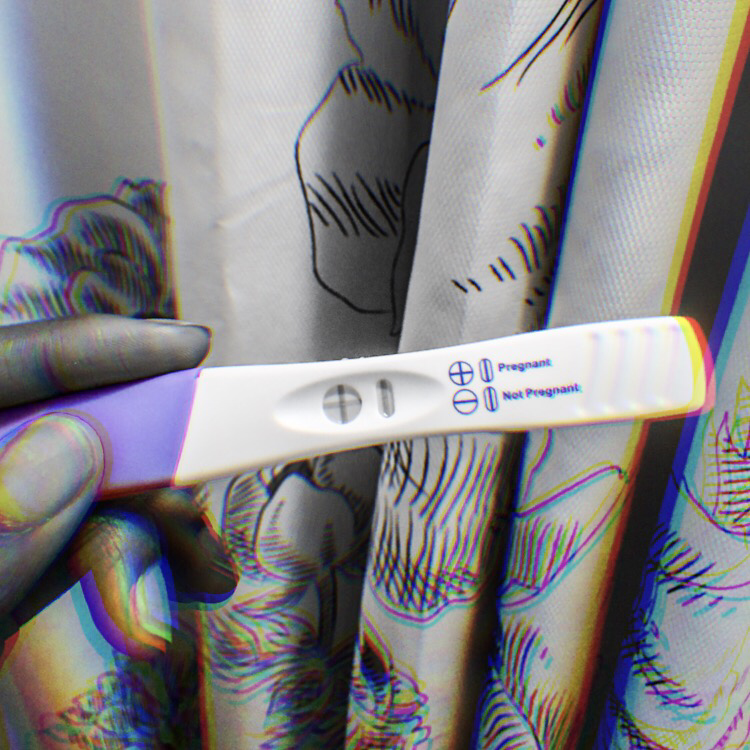 His excitement was palatable which annoyed me, because I wanted to feel excitement through the contractions, but could not. My sister talks me through techniques to ease the pain which help make some of the contractions bearable. I manage to take a shower and get dressed to head to the Brooklyn Birthing Center once I confirm with one of my midwives that it was indeed the correct time. My sister arrives, she is helping me and I am being snippy with her. I realize this as I am doing it but cannot help myself. Present day, I’m back in the hospital room now looking at my cousin. She is sleeping but has a few minor requests. In trying to get help from her main nurse I am met with major resistance. Why? I am not sure. I immediately think of all of the podcasts I’ve listened to regarding women and their families, being dismissed by caregivers and I am not having it. I have something like a “coming to Jesus” moment with her, and we are all good to go. It reminds me how important it is for all of us to have people who listen to us and care about our wants and needs. As she is comforted I think again to November when on the way to the birthing center we have to stop to meet up with her. We were hosting a gender reveal for her and of course I go into labor on the same day. I try my best to smile for her but I manage to barely lift my head and grimace. I realized it would be a long day. It’s a little after 9:00 am when we arrive at the birthing center. I am given my intravenous anti-biotics and make myself comfortable. Actually, I just lay down; my hubby puts on the essential oils, plays the playlist and dims the light. As I start to drift off I notice that he is watching the Cowboy’s game on his phone, but decide to leave it alone, I had more pressing issues at the time. I sleep on and off for hours and around 5:00 pm I start moving around. One of the reasons I chose to labor at a birthing center was the freedom of mobility. I was allowed to walk around and do whatever my body needed at any given moment in time. It felt liberating to be able to do whatever I felt I needed without the restrictions of hospital policy. My family is slow to arrive because everyone is still at the gender reveal I am hosting, but around 7:00pm they are all there. I have been laboring for over twelve hours at this time but the “nap” I took has me feeling like I can continue on. My husband and I both feel when the contraction arrives that finally breaks my water. It was powerful, and we call the midwife. She confirms that indeed the water was broken and we were getting closer to this baby being out here with us. My midwives help me to get Nina properly aligned by raising my tummy when my contractions come. By around 10:00 pm I am on my knees, literally, praying that the baby comes soon because I do not want her to have the same birthday as my little sister. I feel like I have no idea what anything looks like down there, and I warn my midwife every time she goes to check me “it’s a mess”. She gives me a look that reminds me she’s seen a laboring mom before and I am able to put my shame aside. Finally, I believe I have to poo, which I knew was a sign that the baby could finally be making her entrance. My mom is sitting directly in front of me and I am on the toilet. My sister is crouched down in front of me trying to get a good view. As my doula, mother of three and a RN, I trusted she understood what she was seeing. My mother quickly peeks over after I have a hell of a contraction and says “I think I see the head”. My sister confirms and I begin to feel what everyone references as “the ring of fire”. I have since forgotten that sensation, but I remember intellectualizing the pain and also realizing that the baby must be near. My midwife swoops in and safely delivers my little girl. She is placed on my chest and I am euphoric. Probably because of all of the endorphins that have been released in my body as a reward for delivering this baby. I still think back to those moments right after her birth and calm comes over me. For a few minutes everything felt right, and I was super proud and in love. I drift back to the present time and things are picking up for Maria. I try my best to ensure her birth plan is respected and that she understands everything that is happening. Her fiancé arrives just in time to hold her hand as she pushes and a full head of hair emerges. It was surreal to witness this moment. I felt so connected to my Maria, and to women everywhere, as she went through this ritual we all have been participating for thousands of years. In the end I felt amazing about my birth. I felt listened to, supported and I knew everyone there was there for me. Helping my cousin deliver also reaffirmed for me that birthing rooms are a place I would like to spend more time. That experience confirmed something I had been debating for a while, a seed planted when I was a little girl, but needed a little push to pursue. While I continue to ponder this, sparkle on y’all. As any new parent will share, if they’re honest, there are good nights and bad nights with your new baby. One phrase that has been repeated numerous times is “everything changes”. I am constantly reminded, that good or bad, whatever I am experiencing with baby will change. I especially keep this in mind when we are having a rough night. A night sort of like the one we had last week. Nina is two months now. In some of our research and reading we’ve learned that this is an amazing time to start “sleep training” her. Sleep training in general is a controversial topic, I think people should follow their gut. In the end, you are the expert on your family’s and child’s needs. Nevertheless, we are playing with the idea of practicing sleep training with Nina, and tried it out early last week. Now one night went well, the following night we came in kind of late from my mother’s house so the schedule was a bit off. But this third night… was reminiscent of her second night home. Nina screamed at us, especially me, all night! I think it is worthy to mention that we had also started exclusively breastfeeding this week at the suggestion of our lactation consultant. So a few things could have been happening. But to sum it up, I have a lot of upclose memories of my baby girl screaming in my face as loud as she could. She was upset… very upset… and I was having a hard time figuring out why. That morning I “woke up” feeling like I haven’t felt in a while. Like I had been out drinking all night, without hydrating or eating properly before, during, or after. I had a headache. I was groggy. I was extremely tired. But I also had responsibilities, namely, the lady who was responsible for me not getting any sleep in the first place. Well, as soon as it was time for me to be up and about, nina decided to take a nap. As tired as I was, I wasn’t able to take a nap. Maybe I was still in shock by how hard the night before was. Whatever the case, I suddenly had an urge to bake. Now this may be shocking. For a lot of people the last thing they want to do is head into the kitchen when not feeling their best;but this was actually a habit I formed in college. Baking when feeling bored (very different from not having things to do just to clarify :), confused or sad, is something my closest friends and I did. That and work out, I know weird, but it worked. Baking (and working out) allows me to engross myself in something that has a benefit to me. I get to focus, for an hour or two, on this one thing. I’m not contemplating if I’m parenting right. I am not figuring out if my career is on track. I not poring over my past decisions and grading myself. I am just baking. I am adding the ingredients and doing it with love. Therefore, I am sparkling without doubt. I am also spreading sparkle when sharing my treats with the ones I love. After baking I feel accomplished, even if I wasn’t able to get Nina to settle down the night before. Baking gives me a win in early motherhood when those can be hard to come by. So friends, add sparkle to this amazing journey of parenthood by carving out a little time for your hobbies. They make you feel sparkley and therefore you can pass that on to your little ones. So you guys probably know by now how much I love the holidays. There is just extra sparkle everywhere, especially in the spirits of those around you. However, November/December can hit the pockets extra hard, especially for someone like me who LOVES to celebrate. Celebrations and acknowledgements usually equal expenses. When I was slightly younger I used to go for broke, literally. The holiday season would be amazing, but after, I would have nothing left in my BOA account (partially because of their exorbitant fees etc… but I digress). As I am getting older I am aiming to be a bit more responsible with my time, money and resources. Nevertheless, I still wanted to find ways to continue traditions I love and doing things that I believed added sparkle to the season for everyone. So in my holidaze post I shared the idea of creating and maintaining traditions as a way to keep the feeling festive. One of my favorite traditions is sending Christmas greetings to everyone. In the past I’ve either purchased a bunch of Christmas cards or I’ve used a service like shutterfly.com to create personalized cards. Both of these techniques have their advantages and disadvantages. Buying cards usually kept it simple: I go in, buy them and write them out. Usually I’d have them in the mail (if I’m lucky) by the end of the week. However, as much as I tried to find unique cards that I felt represented me, they never felt quite personal enough. Shuttferly cards were super personal; I added my own pictures and wrote a message that came straight from my heart. However, all that personalization costs. What this ultimately ended up meaning is that I had to cut down the amount of people that received cards, which wasn’t fun at all either. By now you’re probably thinking “what was your solution?” I’m getting to it guys! Let me say that this isn’t a “solution” so much as it is what works for me. In the end you have to decide what allocation of your time, money, resources works best for your family. While this method was perfect for me, for reasons I will get into, it may not work for you and you may opt for one of the options I mentioned above, or something completely different all together [Share! Share! Share!]. I chose to create my own holiday cards from scratch. Yes, I figured out/ worked on everything from the photoshoot, to the design of the Christmas cards and of course the addressing/ mailing of them. Now for me, this was a huge but fun project. It mixed a couple of my interests together, so that’s why I took it on. I love taking pictures and photography in general, so that was easy to decide. Instead paying someone a couple hundred to do a photoshoot, I used my own equipment and got my sister to snap away after I set up the frame. Also, I used a lot of décor I already owned… as well as my mother’s backyard to keep it all really simple ;). To decide on the look for the picture I clearly dove into the Pinterest black hole to get a couple ideas, which I considered fun as well. That is a hack I love! Instead of racking my brain to come up with a concept that I believe is completely and totally unique, that someone has probably still already done, I rely on the Pinterest community to share their wins and losses. I then adapt a concept to my family’s needs. Since our pup, BANE the English Bulldog (#BaneNeSmith), was a new addition to our family this year, he had to be featured. So I did search for Christmas cards featuring dogs to get some ideas. I found something I loved and made it my own. What was even more amazing is I was able to find a dress in my closet I had only worn once and feature it in this picture. The picture came out great, and it didn’t cost anything but a little bit of planning. I created this Holiday Card right on my MAC in pages! The card itself was a whole separate task. I started with a blank sheet in my “Pages” application on my Mac and created it from scratch. I knew general colors I wanted to incorporate and how I wanted the card to feel. It took a little over an hour, but it came out great. I find messing around with layouts super fun, I am a scrapbooker after all (lol), but if creating it from scratch isn’t for you there are tons of templates out there. You can Google to find some free ones, but there are also people out there (especially on Etsy.com) that sell templates for reasonable prices. All you have to do is purchase, download and personalize it to your liking. If messing around in Pages, Publisher or Illustrator isn’t for you, then this option will save you a lot of time and frustration. Finally, I was going to print these all out myself; however, I wasn’t thrilled about that idea so I did a bit of research and found an amazing option that was super simple. I used Staples.com to print and ship them to me. In the end it was a great value as the double sided card came with envelopes so all I had to do was prepare them to be mailed. Finally, I created labels from my running excel contact list which was super easy (once I figured out formatting). And that was it. I was able to add a little sparkle to the lives of all the ones I love and not spend a ton of money. This whole project maybe cost me $50 dollars to print them and buy the labels. Not to mention, everything about the card was personal and therefore, in my opinion, done with love. Share your ways you add sparkle during the holidays on a budget, I’d love to know. Till next time, Sparkle on! Is that a + sign?! “So, you’re pregnant…” (And when I say you, I mean me.. cause this is me talking to myself) “Okay, now what? What are your next steps?” To be honest, at this moment I had so many various thoughts racing through my head. I thought about my husband and I trying and praying for this kid; I thought about my family hounding me for years about when this kid would arrive; I thought of the one or two friends who said they would cry when they found out about this kid (some in a positive way, some mourning the loss of a party buddy); I thought about our small one bedroom and our English bulldog (who is an attention whore by the way); and finally, I thought of all the things I said I would do before I had a kid and when I got pregnant. I didn’t know where I was supposed to begin. But I knew one thing, I needed support. So telling someone, mainly the one responsible for this, was important to me. I wanted him to be surprised and I needed to tell him in a fun way. So, below I will share how I shared this information with my hubby and got to relive my own excitement through his eyes. First thing first, I found out I was pregnant on a nondescript Monday. I realized I was late and told myself to calm down, and wait until Monday (which would be a week), to check to see. Monday came, I bought a test (which was an experience because I am awkward and turn even the most mundane situations into experiences). I will spare you the thoughts and needless analytics that went along with this trip and jump to the result: POSITIVE. So the first test, I passed … but needed to confirm. I missed my GYN appointment scheduled for that week and ended up walking into an urgent care center where a very blunt and excited doctor confirmed that I was pregnant; and said I was about 5 weeks pregnant. I couldn’t believe it. So next I had to move quickly. I am not good at keeping things quiet sometimes, so I knew I had to tell Eric right away… well as soon as I could craft up the perfect gift. I thought for a while and wanted to tell him in a way that would speak to him directly. This meant I had to include the Cowboys. I came up with a catchy phrase (well at least I thought it was) and created the gift. I also got his favorite type of desert (ice cream cake) and cooked a nice meal. Okay… now the journey officially begins… watch me grow and you continue to sparkle. Sometimes the holidays come and go, and we barely have a moment to enjoy. Traditions are a fun way to ensure you are creating lasting memories for all involved! The holidays is always a fun time for my family. We cherish the moments we get to spend together uninterrupted and totally consumed by our own awesomeness. While it does bother me how commercial some of my favorite seasons have become, I will save that for a different post…on a different blog. Right now, lets talk about getting extra sparkly during a time when the lights are already bright! Now this will be a two part post because my family celebrates both Christmas and Kwanzaa. I will start with Christmas because its first on the calendar! How to make Christmas sparkle? Super easy, and it has nothing to do with the amount of §imoleons you spend at Sim Center Mall (for all of you who also love “The Sims” Game that was for you!). To me it is important to create space and time for your family to be its best self and also traditions that bind you. Now, some of you may think to yourselves “ my family doesn’t really have any traditions, we just sit around and sing Karaoke after Christmas dinner” AHA! There you go! Don’t turn into crazy Auntie lady (like I do a few times a year) killing yourself to create special moments, embrace your family just the way you are. My suggestion is to think about when you’re family is the happiest (and do not default to … when we are apart and on our phones) but really think. Not only around holidays but in every day life, do you guys watch movies together very well (except for that one sister that tries to ruin the end every time); or maybe its not actually dinner, but cooking together; maybe its decorating the house or even walking around the neighborhood and picking your favorite set up. Whatever it is, just acknowledge it. It becomes special once you guys decide that it is. So if you’ve reviewed your family’s actions and still feel as if you guys lack “tradition worthy” events, it is never too late to create one. Its you’re world, you can create your own reality (sneaking in a bit of positive psychology to keep you coming back for more). But for real y’all, you’re only one year away from the “2nd Annual” time you’ve done it! Meaning, once you all decide on a tradition, just stick to it. I think the best representation of how simple or crazy a tradition can be and how dynamic the first conditions it is created under can be reference NBC’s This Is Us. Truth be told, just needed to mention this show because it is simply a masterpiece and really represents how families are held together by tape, glue and might (yes, Tape & Glue was a Grey’s reference). In the “Pilgrim Rick” episode of This Is Us we are taken on a journey through the thanksgiving traditions of the Pearsons that we later learn are based on one hell of a Thanksgiving mishap. What I took away from that episode is that it matters not what you do or even why you do what you do as a tradition but more so who you do it with and how you do it. This family chose to honor the day they decided to (or were forced) to create a new tradition. Singing at the Senior Center: Now this started out as my mother telling us we had no choice but to attend and sing. But it became something special for us, and our friends, to sing at the senior center very close to the Christmas holiday. This has now become something special for us because it helps us remember that this season isnt about us receiving a bunch of material gifts, but rather, the gift of grace that was given to us from our heavenly father. We can donate a bit of our time to ensure that others feel the joy! Christmas Breakfast! Before we get into the frenzy of opening gifts, we take a moment to eat breakfast together. Now, I must admit when I was younger I would rush through the meal in order to get to the gifts. But now it has tuned into a moment that we savor as a family. All the excitement and energy we’ve put into preparing for this day– it slows down time for a moment, giving us a moment to fellowship together and think about the reason for the season. This is a fun and practical tradition. I couldn’t imagine trying to focus on cooking after opening gifts. It gives us a little downtime before starting to work on Christmas dinner. Onesie Party: This is a newer tradition we began only in the past few years. This is a fun way for us to dress up for Christmas eve and makes us nostalgic of times when onesies were a staple, instead of a costume! The kids love it, we love it and everyone is warm and snuggly! Can you say “Win/Win” situation!? Sound Of Music (Me & Kristen): Growing up we spent a few Holiday Seasons in Trinidad, WI. This is where my mother hails from. While there we practiced a bunch of the same traditions including Church one Christmas Eve and Opening one gift the night before. Another fun tradition was myself and my younger cousin would always watch the Sound of Music together.. a few times during the vacation. The best part was always singing along to the movie! After Dinner Karaoke: This tradition formed out of the fact that so many family members and friends would join us for dinner. We usually play party games and after a while, we would all get on the mic! We are clearly a family that loves to sing, and it was always a way to promise us laughing into boxing day. Well, hope you’ve enjoyed sharing our family traditions! Its always so special to celebrate this way with the ones I love and we look forward to this year after year! Feel free to share your traditions and stories with me as well! I am always looking for new ways to add Sparkle to the season!